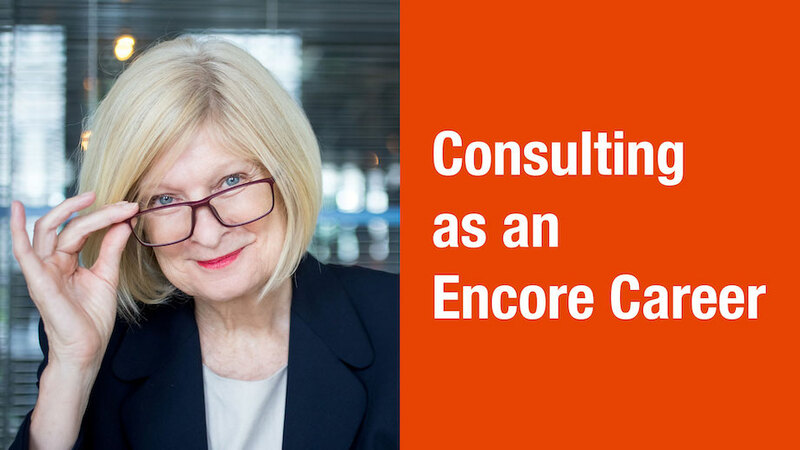 This free webinar will show you how to turn your years of professional experience into a successful consulting, coaching, or freelancing business. Learn how to create a full- or part-time “post-career career” that can give you a meaning-and-money alternative to retirement. How to turn your work wisdom into consulting wisdom. How to define the work you want and the services you’ll offer. How to put a price on your advice. How to build a market for your work. Myths and realities of starting a business as an older adult. Don Tebbe began his encore career (and third consulting business) in 2013. Consulting since 1993, he has led over 100 senior executive search and transition projects and facilitated retreats and workshop sessions for 1,000s of transitioning leaders and their board members. In 2015, he joined forces with Susan Schaefer, editor of The Nonprofit Consulting Playbook, to form what is now Going Solo, Going Big, a website, a growing collection of online training programs and a support community dedicated to helping professionals turn their know-how into thriving consulting businesses.